In addition, our highly qualified teachers work collaboratively so there is an integration of academic content across the curricula, as well as the most current use of technology to enhance our instruction. Finally, Midnimo is committed to providing real life connections through our well planned and expanded community based learning experiences. Midnimo is determined to provide an excellent education, a positive learning environment, while fostering cultural awareness and acceptance! Please contact us to schedule your visit to one of Columbus’ Premier Middle Schools. Our school community is committed in supporting our students in their pursuit of lifelong learning and nurturing high self-esteem and respect for others. We believe that everyone can succeed in becoming better thinkers and independent learners. To accomplish this mission, first and most importantly, our curriculum is aligned to and paced with the Common Core and the Ohio’s New Learning Standards. Secondly, we consistently monitor student progress and adjust our instructional strategies based on that data. All students receive free breakfast, lunch and dinner daily. 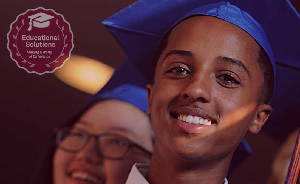 Midnimo Cross Cultural Middle School is continuing to create a safe and respectful multicultural environment that facilitates accelerated academic achievement while instilling a desire to learn, taking appropriate risks, and accepting challenges. The name “Midnimo” means “Unity” in the Somali language, and underlies a central tenet of our philosophy to bringing our diverse community together in the interest of the education of our children. Midnimo has received an "A" in "Progress" / Student Academic Growth during the 2016-17 academic year. This is the ninth (9th) straight year students have met or exceeded State of Ohio measurements of one-year of academic growth!